Molten lava from Hawaii’s Kilauea volcano has entered the grounds of Puna Geothermal Venture, a geothermal power plant that provides about 25 percent of the Big Island’s power. 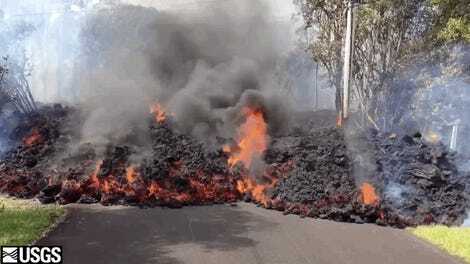 The 38 Megawatt Puna Geothermal Venture (PGV) power plant, which is located in the east rift zone of the Kilauea volcano, was shut down soon after the eruptions began on May 3. Yesterday, lava from Fissure 22 came to within 820 feet (250 meters) of the plant’s nearest well pad before stalling, as Reuters reports. Overnight, workers managed to cap the 11th and final well at the facility in anticipation of the lava eventually reaching the facility, and to prevent the uncontrollable release of toxic gases. The Puna Geothermal Venture plant. Cold water was pumped into all 11 wells prior to capping them with iron plugs. Workers have also managed to remove 60,000 gallons (227,124 liters) of pentane, a highly flammable and noxious liquid that’s used at the plant. The wells at the PGV plant are between 6,000 feet to 8,000 feet deep (1,830 to 2,440 meters). Hot steam and water from these wells drive turbines to produce electricity. Pentane, which is boiled, is used to power secondary turbines. Mercifully, the lava flow stopped at a ridge near the PGV plant, but as the events of the past two weeks have shown, Mount Kilauea is in an extremely volatile state. The HCCD said Fissure 22 is producing most of the lava feeding the flows, so the situation near the power plant remains precarious. Lava entering the sea at two locations near Pahoa, Hawaii, on May 21, 2018. 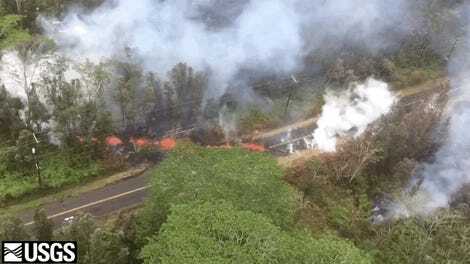 Hawaiian Volcano Observatory reported an explosive eruption at the volcano summit at 5:51 pm local time on Monday, and residents have been warned of the resulting ash plume. Meanwhile, lava is pouring into the ocean at a location three miles (5 km) east of the plant, producing noxious clouds of acid fumes, steam, and glass-like particles—a phenomenon known as “laze,” a portmanteau of lava and haze. Laze is potentially deadly if inhaled. 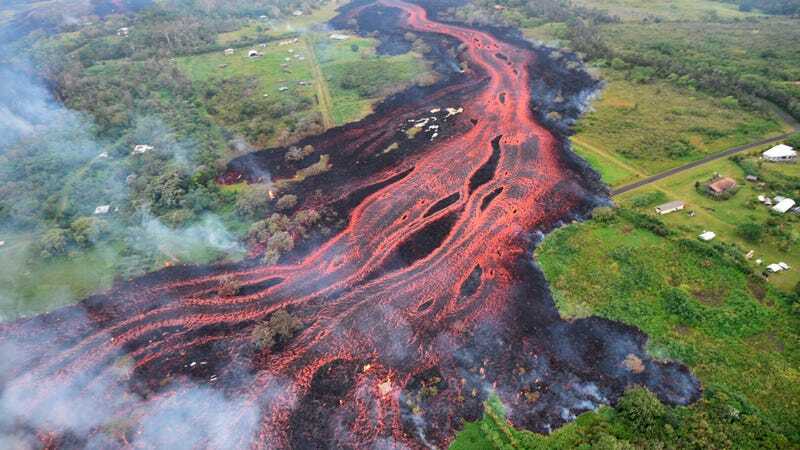 Kilauea hasn’t been this active in nearly a century, and sadly there’s no end in sight. Since May 3, over a dozen fissures have opened up along the east rift zone of the Kilauea volcano, destroying nearly 50 structures. 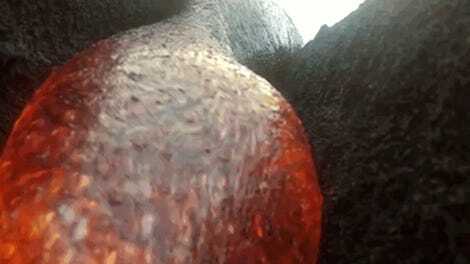 Geologists say the volcano has entered into a more violent phase, in which larger amounts of molten rock are pouring out from fissures and traveling further than before.